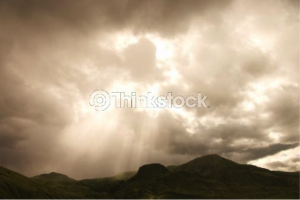 The dark clouds represent the presence of God. 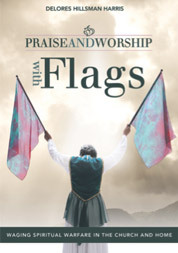 In scripture, 2 Samuel 22:12 (KJV) says, “And he made darkness pavilions round about him, dark waters, and thick clouds of the skies.” The cover represents the flag bearer in relationship with God and more specifically the Holy Spirit during praise and worship. 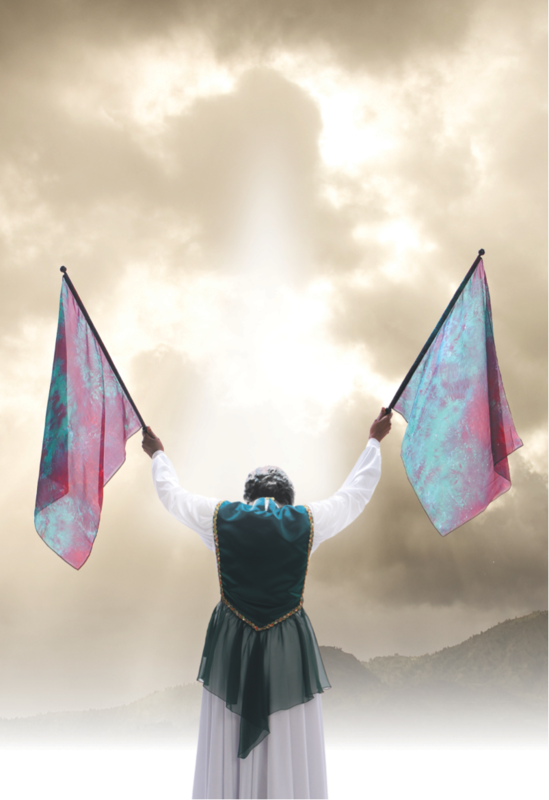 The flag bearer with her raised flags reaches out to the Lord humbly with a bowed head. She praises the Lord. She worships Him from her pure heart. In response to her heartfelt praise and worship, He manifests His presence. The Lord allows her to enter His presence which is symbolized by the light shining softly on her head. His manifested presence becomes so close, near and strong. Healing and victory are in His presence. While in His presence, she petitions the Lord for help on behalf of others. The act of petitioning or summoning the Lord for “Help!” is how she wages spiritual warfare. Click Here to See the front and back of the hardcover.